I apologize in advance for this mouthwatering recipe. Just be warned that these little M&M mints melt in your mouth and may cause extreme happiness (haha!). They are fun to make, require no baking, and are perfect to make if you have kids around. This recipe is so simple, you’ll be making it over and over again! These mints are creamy and pepperminty all at the same time. Typically, these mints are made with peppermint extract. But, the peppermint flavor of the M&M’s is the perfect amount needed with the mouthwatering cream cheese dough (plus you get a little chocolate in there). 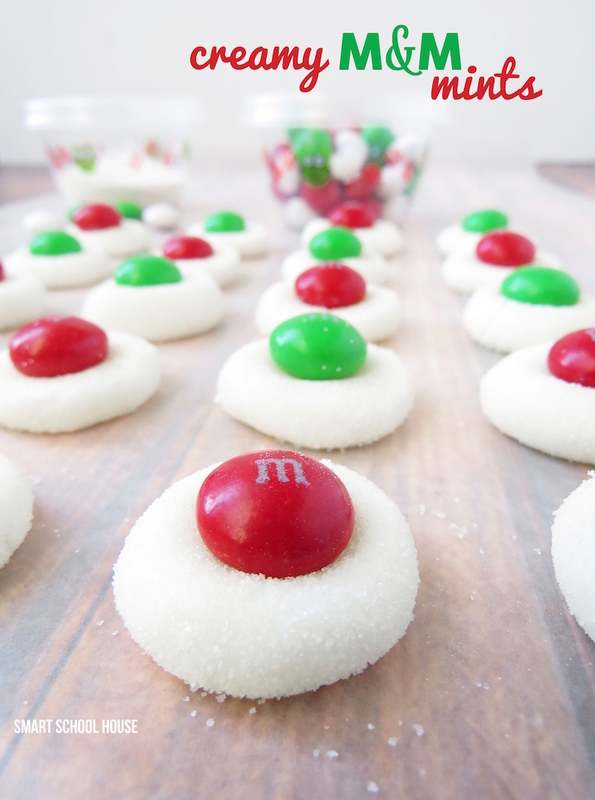 A little crunch from the M&M, a little holiday peppermint flavor, soft and creamy sugar covered dough, and you’ll find that they disappear quickly in a crowd! I love that this easy holiday treat requires NO baking, which is perfect if you’ve already got a bazillion things going on in the kitchen during Christmas (don’t we all?). If you’re looking for more holiday baking fun, be sure to check out this recipe for Santa’s Snack Mix! Ohhhhh your kids will flip over this! Pull off small, 1/2 inch pieces of the mixture and roll them into balls (kids love to do this part). Press the balls into a slightly flat shape (seen in the photo above) and then roll it into a bowl of sugar. The sugar makes them sparkle like snow! Using a small brush, place a dab of corn syrup to the center of the flattened sugar covered ball. 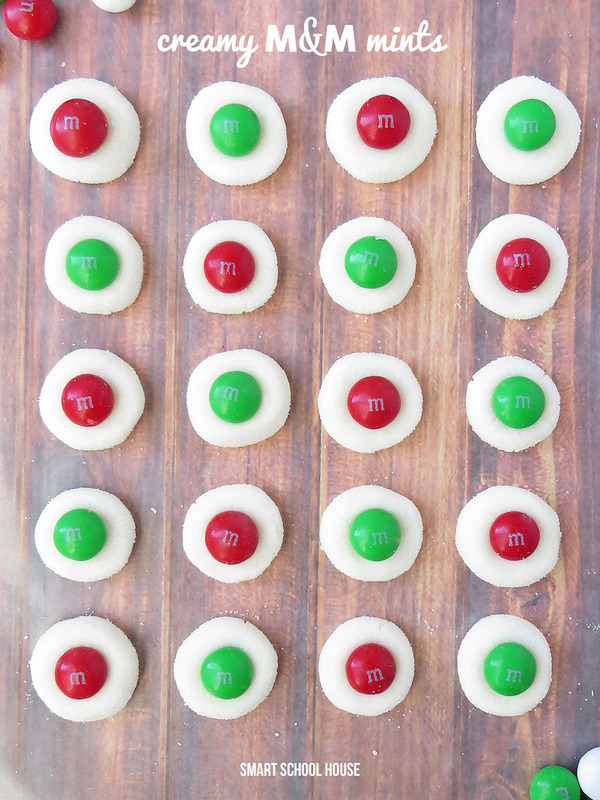 Press a Peppermint M&M into the dough on top of the corn syrup. As the corn syrup dries, it will act like glue and keep the M&M in place! Store and refrigerate in GLAD’s Mini Round containers until ready to eat.